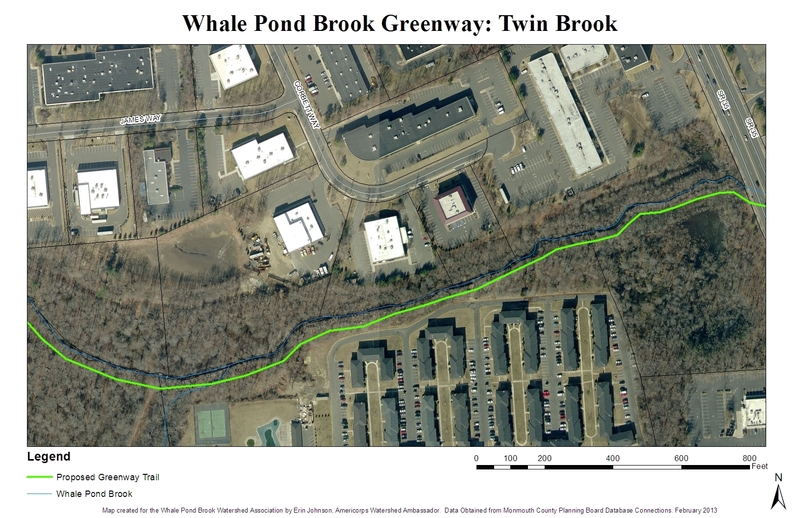 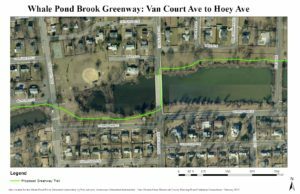 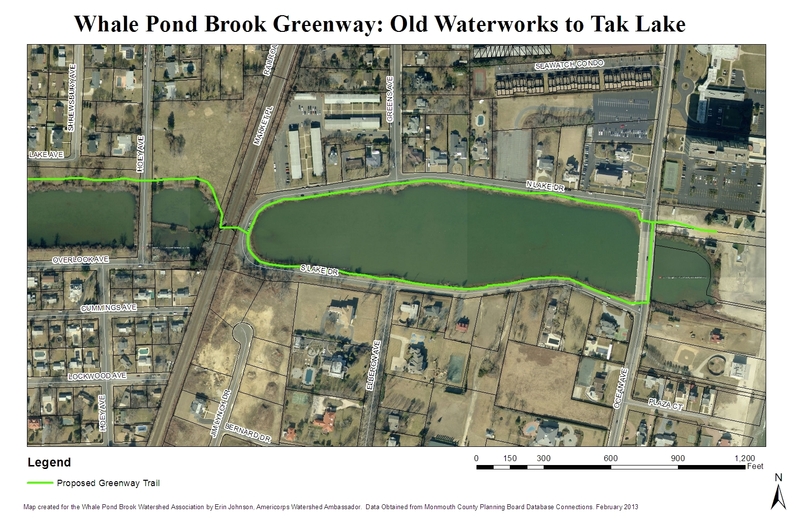 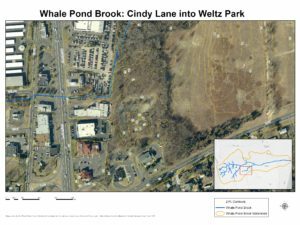 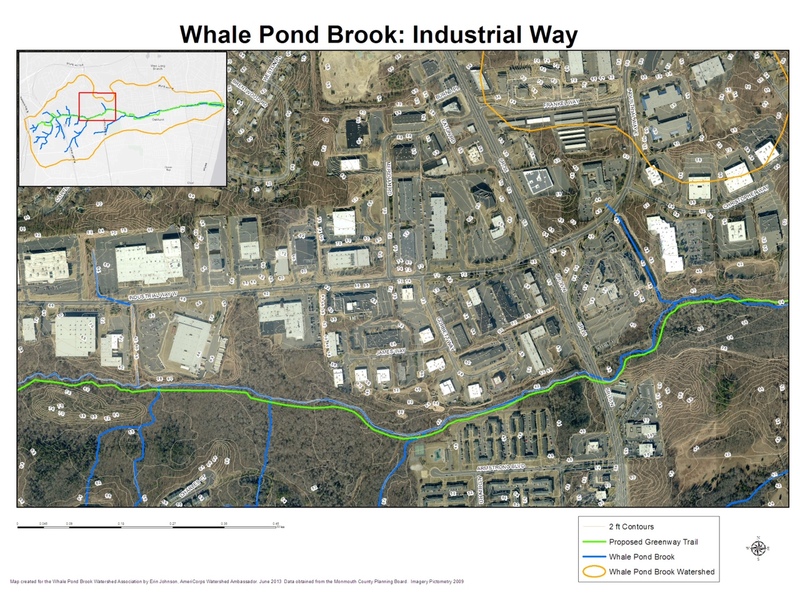 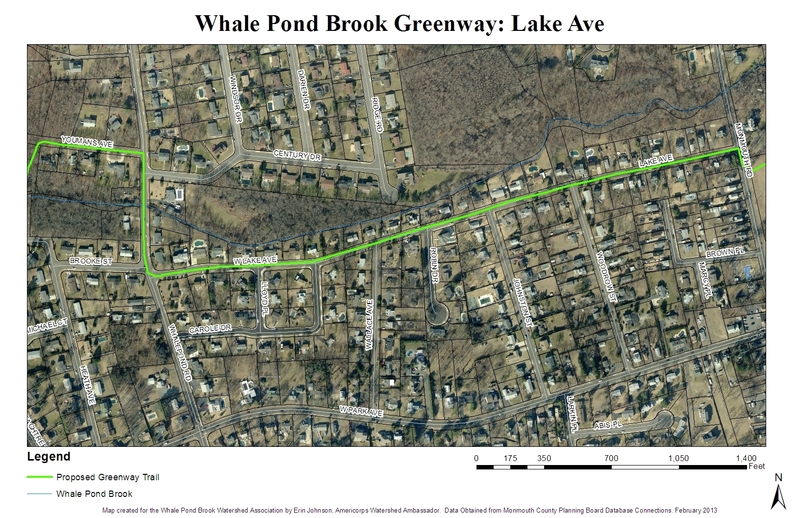 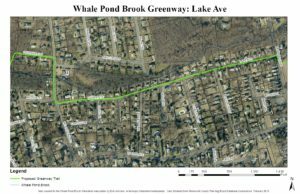 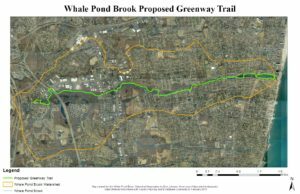 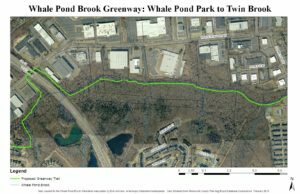 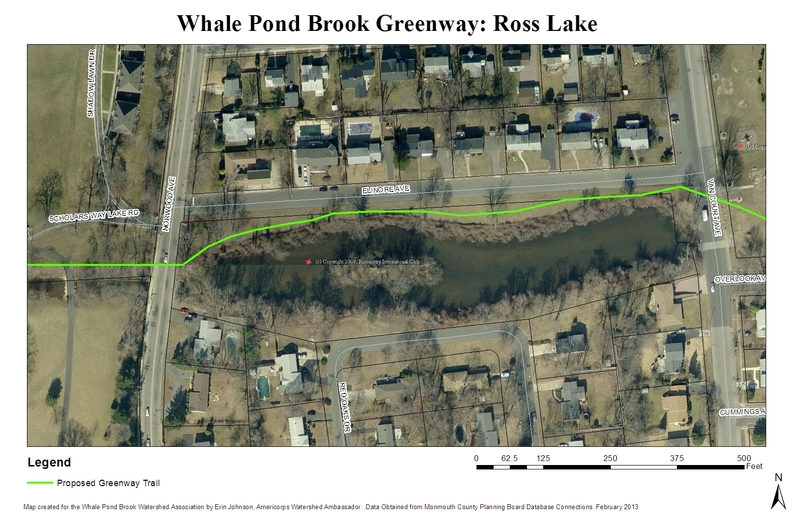 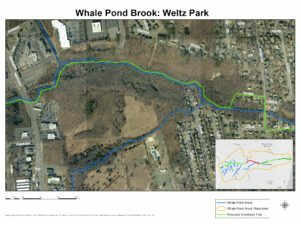 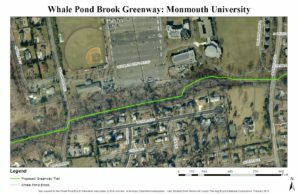 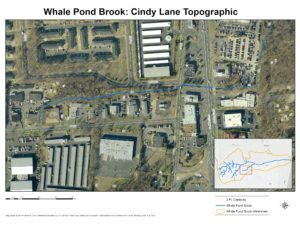 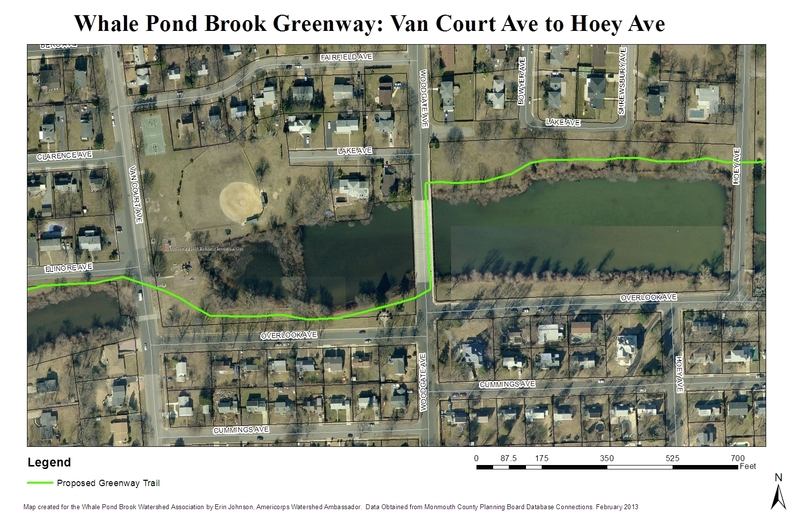 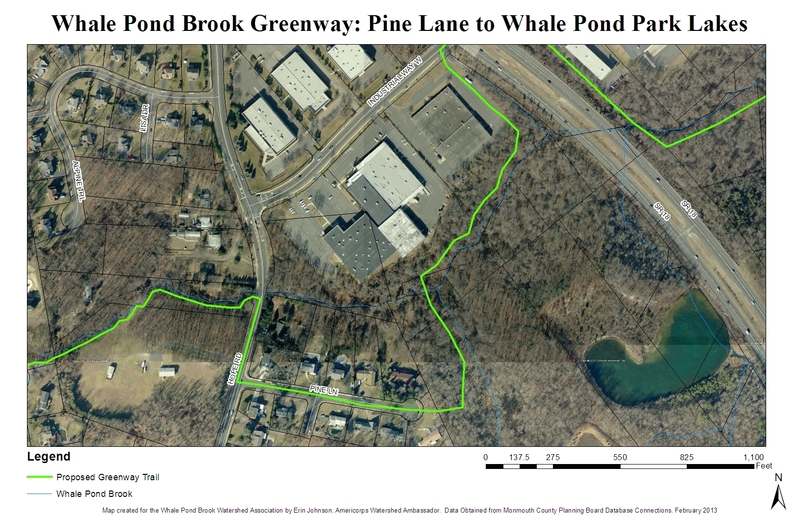 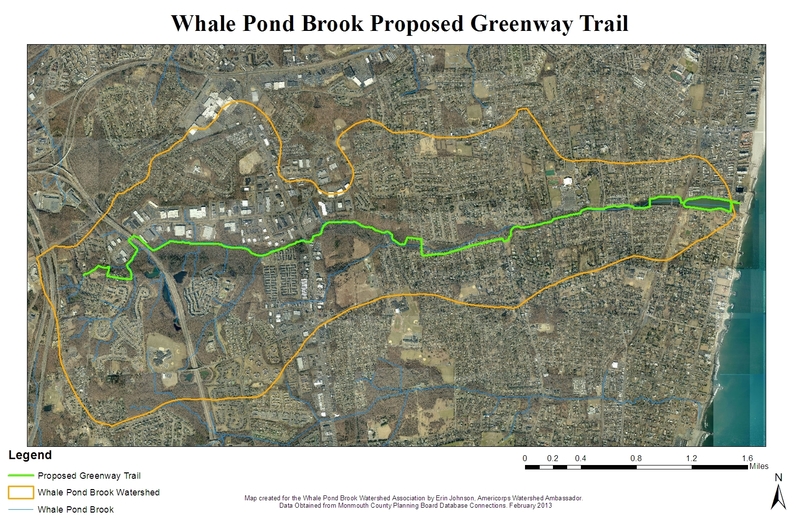 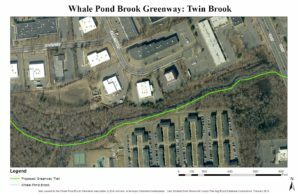 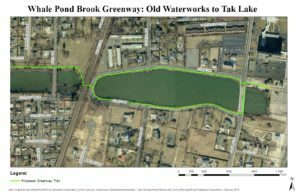 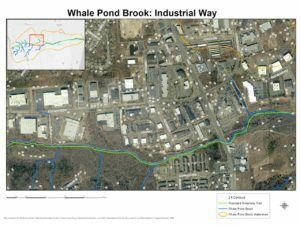 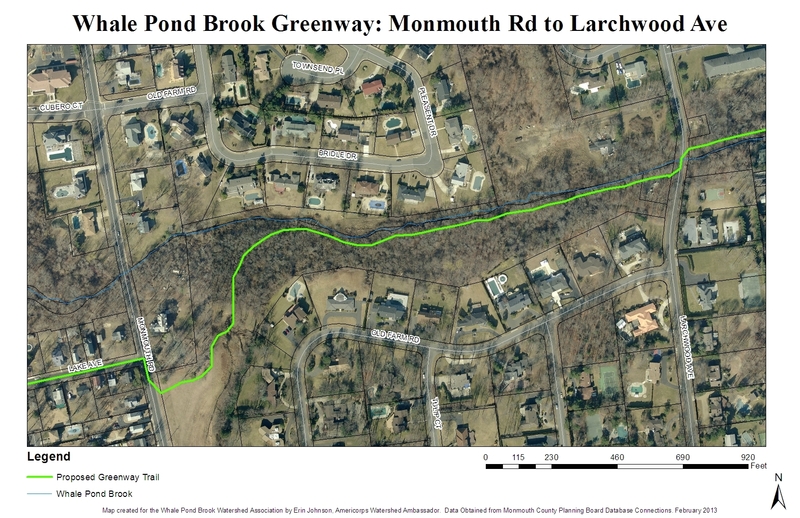 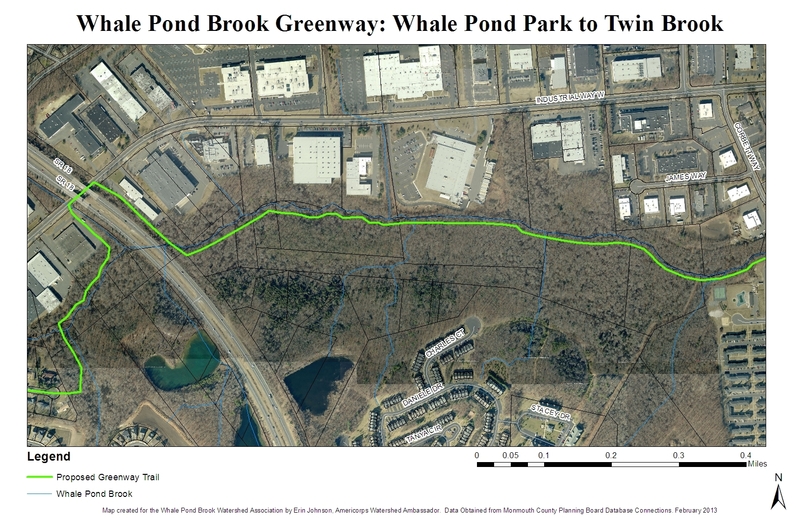 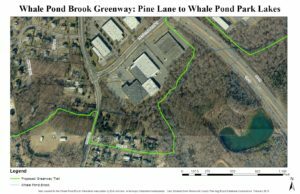 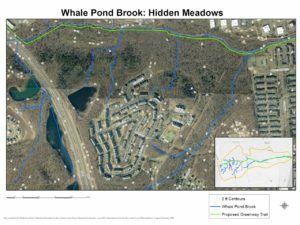 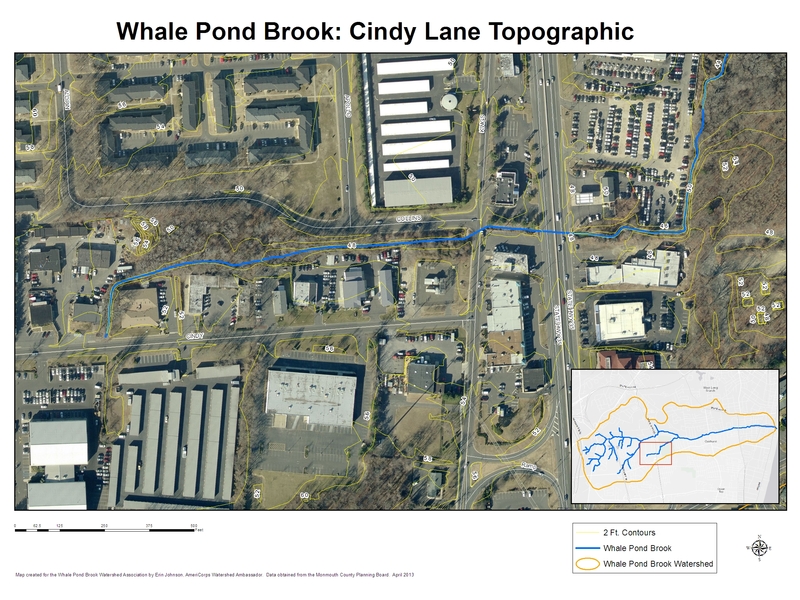 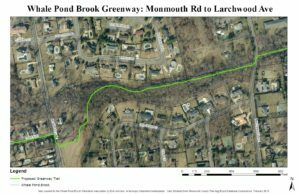 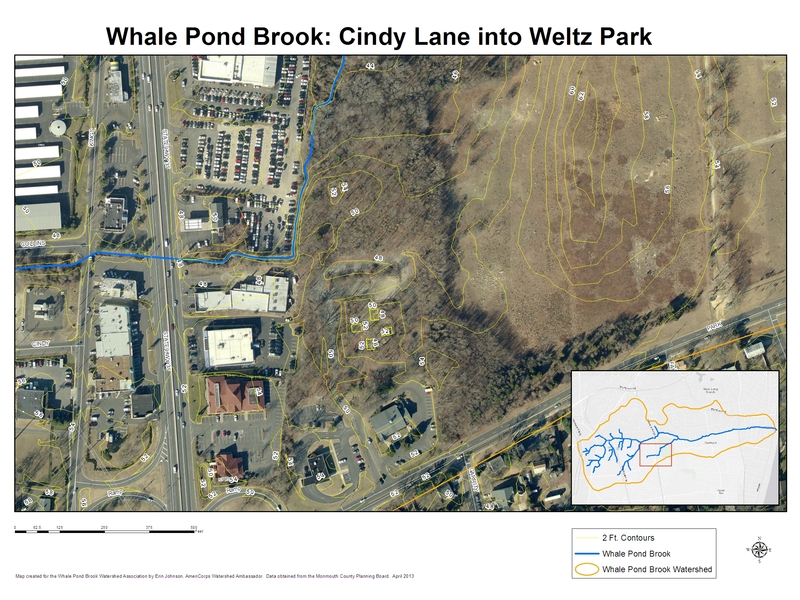 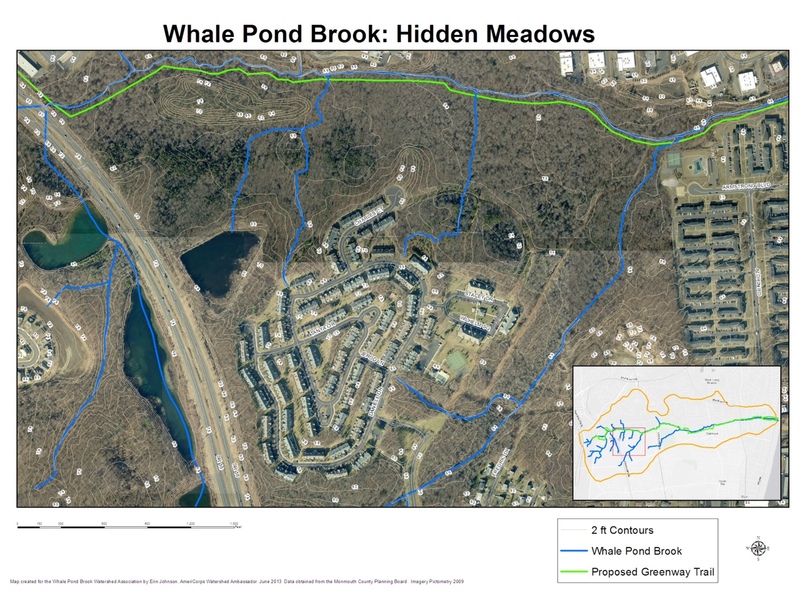 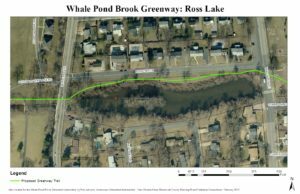 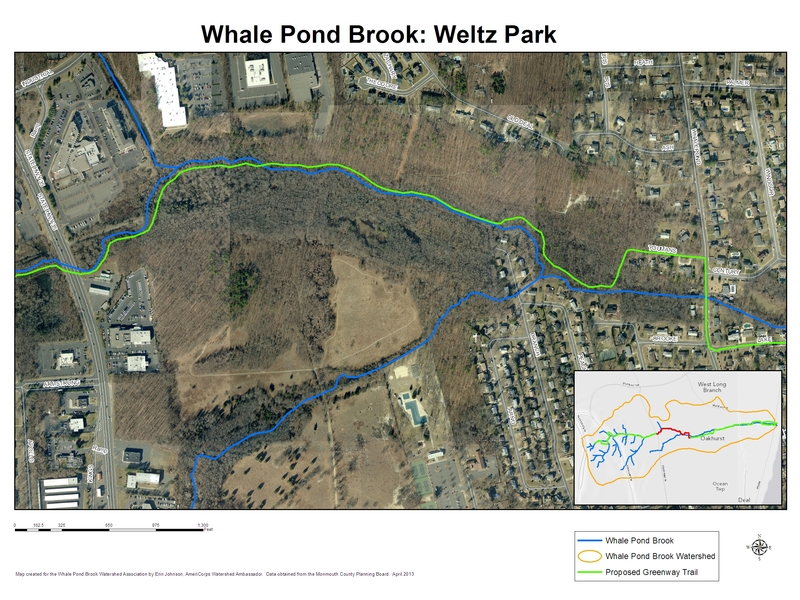 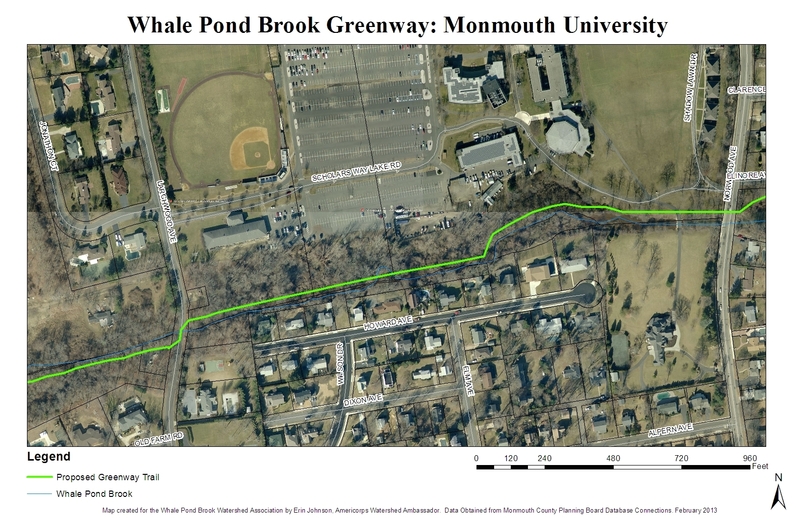 The first map is the entire Whale Pond Brook watershed and the green line is the proposed greenway. 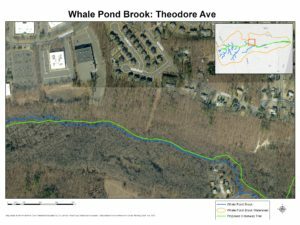 These maps were made by our NJ DEP Watershed Ambassadors over the years. 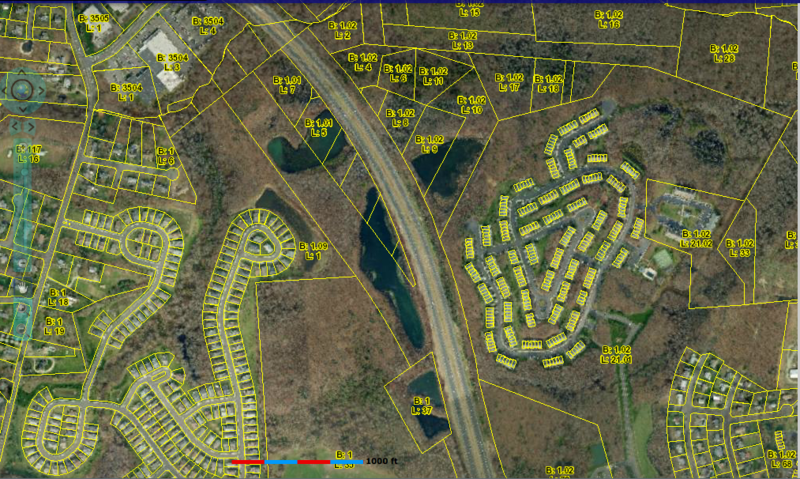 We appreciate all their help and hope they are all doing well in their careers.